Before we get into Raw this week, I’d like to debut a new feature for these weekly reviews. Now more than ever, Raw has entirely too many overrun by six-man tags. Last week we had an appalling three six-man matches in one show. It’s a sure-fire sign of lazy booking, in my opinion. So from now on, at the end of each review we’re going to make a point of counting how many six-man tags were on the show in question. It will appear at the bottom of the review each week. Alberto Del Rio wins United States Championship at Hell in a Cell, with Zeb Colter at his side. Boy, is it difficult to articulate in human English just how much I hated this. What an awful move. Just to be clear: I don’t hate Del Rio. He’s an excellent wrestler, he still looks great, and he’s done some good stuff for WWE. But he’s also been part of some mind-numbingly boring television. Part of the reason for that is because his personality, for my money, has been so one-dimensional. And yet, because WWE feels like they desperately need a big Hispanic star, Del Rio is back. So what’s with this Mex-Americans thing? Del Rio condescendingly referred to Neville as an immigrant before their match. So I assume they’re going for a hypocritical heel angle with he and Zeb Colter. That’s a little awkward. But in all fairness, let’s give the angle the story some time to breathe. After defeating Bray Wyatt in a Hell in a Cell match, Roman Reigns becomes the top contender for the WWE World Heavyweight Title. 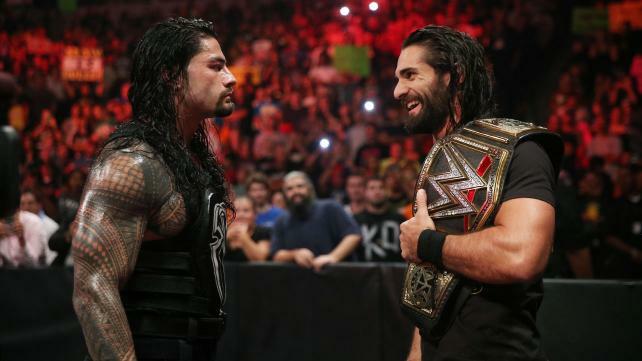 So is Seth Rollins vs. Roman Reigns our main event for Survivor Series next month, or TLC in December? I ask because the match isn’t listed on WWE.com as part of the Survivor Series card. I assume they’re putting Reigns back in the title picture to plant the seed for him being involved in a title match at Wrestlemania somehow. I can only assume they wouldn’t be dumb enough to have him win the Royal Rumble Match again, but WWE obviously wants him in a top spot. There’s been speculation about Rollins vs. Reigns vs. Brock Lesnar, which would be an interesting follow up to what happened in last year’s main event. Either way, hopefully this is part of a long-term plan that takes us toward Wrestlemania in Dallas. After losing to Brock Lesnar at Hell in a Cell, The Undertaker is carried out by The Wyatt Family. 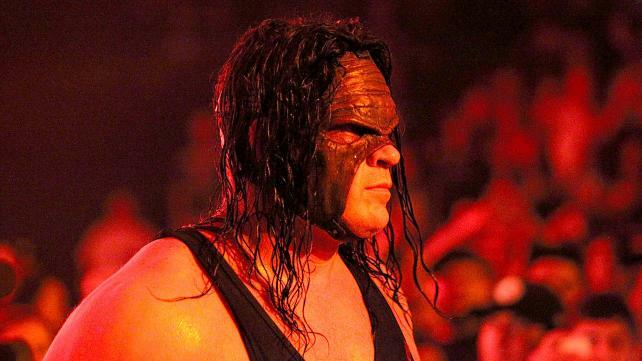 After a speech from Bray on Raw, the same happens to Kane. Bray’s promo didn’t do much for me. We didn’t find out where they took Undertaker, or what exactly was done to him. It was just a lot of lip service about the demise of ‘Taker’s soul. Bray’s motivation here is rather obvious. The Undertaker beat him at Wrestlemania. Much like ‘Taker vs. Lesnar, it’s a simple revenge story that they’re overcomplicating. And now we’ve got Kane in the mix. Interestingly, after Hell in a Cell ended, Jim Ross tweeted about a possible match for Survivor Series featuring The Wyatt Family against The Undertaker, Kane, & Sting. That’s a hell of an idea, assuming Sting is ready to get physical again. But I think a more likely main event would be Seth Rollins and The Wyatt Family against The Undertaker, Kane, Roman Reigns, Dean Ambrose, and if not Sting then another babyface the WWE brass are fond of. Ryback comes to mind. That’d be a hell of a nod to the classic Survivor Series format, and it could tell a great story if The Undertaker is left standing alone against some of the Wyatts. Tyler Breeze debuts on Smackdown alongside Summer Rae, appears at ringside during Dolph Ziggler’s match with Big E. It’s looking like Breeze is getting a strong start. He’s got Dolph Ziggler as his first opponent, so he’s bound to have some good matches. It certainly doesn’t hurt that he’s being paired with Summer Rae either. But you know who else got a strong start? Bo Dallas and Neville. And look where they are now. I don’t want to put a damper on Breeze’s debut, but when some of these guys (or girls) leave NXT, they get lost in the shuffle on Raw and simply become roster fillers. In some cases that’s their fault for not being able to make the most of their opportunities. But in other cases it’s WWE’s fault for simply not knowing how best to use some of these talents. Does Bo Dallas have what it takes to be a big star? Who knows. But they definitely could have made him into something more than a jobber. So good luck, Breeze. You just might need it. Paige turns on Charlotte and Becky Lynch following loss to Team Bella. So Paige is officially a heel now, finally finishing the rocky journey that started with her wannabe “Pipe Bomb” promo several weeks ago. The crowd still doesn’t seem to want to boo her entirely. I suspect a portion of the male audience will always be into what she does. But at least now they’ve got her acting like a full-fledged villain. Kevin Owens def. Cesaro. The best thing Cesaro can do at this point is continue to have great matches. Like Dolph Ziggler, he must be so good that it’s impossible for WWE to ignore him. Allegedly, Vince McMahon finds him boring. Clearly, San Diego had a different opinion this week. Stone Cold Steve Austin appears in backstage segment promoting WWE 2K16. Ugh. Why do they do this to us? Why create even the faintest glimmer of hope that somehow he’ll stay? This entry was posted in Wrestling and tagged Alberto Del Rio, Bo Dallas, Bray Wyatt, Brock Lesnar, Cesaro, Dolph Ziggler, Jim Ross, Kane (WWE), Kevin Owens, Paige, pro wrestling, professional wrestling, Roman Reigns, Seth Rollins, Sting, Stone Cold Steve Austin, Summer Rae, The Undertaker, The Undertaker vs. Brock Lesnar, Tyler Breeze, WWE, WWE 2K16, WWE Hell in a Cell, WWE Hell in a Cell 2015, WWE Monday Night Raw, WWE Raw results, WWE Survivor Series, WWE Survivor Series 2015, WWE TLC, WWE TLC 2015, Zeb Colter on 10/27/2015 by primaryignition.